Until recently I was unaware that the award-winning/much-maligned winery of the fatally flawed Laposa/Bazaltbor project has been purchased by the CEO of Veritas, István Pátzay and it now functions as the HQ of Villa Pátzay. In case you missed the acrimonious Laposa/Bazaltbor divorce, click here , and if you want to know more about Villa Pátzay, click here. 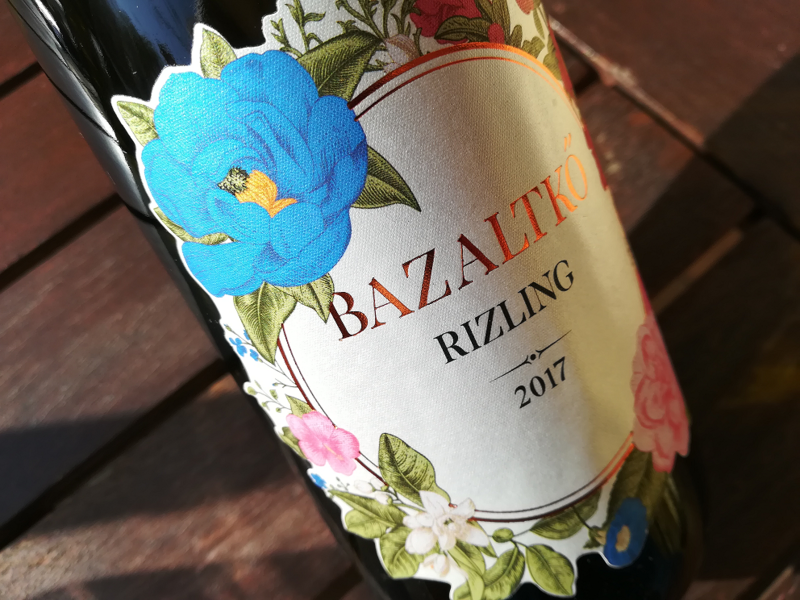 Having spotted my granny’s vintage oilcloth tablecloth recycled as the label design for Lidl’s budget Bazaltkő Rizling my first reaction – after the visual shock – was that this could only be a relabelled version of the excellent Pátzay Rizling. The tasting sadly proved me wrong, this is indeed a different wine with even less reason to be called riesling. I couldn’t find the exact proportions but I am sure that I have never tasted a blend before where olaszrizling (aka welschriesling) has managed to overpower sauvignon blanc. On the positive side, this is an honest, fairly well-made wine with no obvious efforts to make it prettier and with no obvious signs of the dreaded sauvignon blanc-flavoured cultivated yeast. On the negative side, it is utterly unremarkable. The shy nose displays some floral, honeyed, almondy hints, the palate is linear and fresh, alas with some signs of unripe, overbright acidity. The finish is slightly bitter with almonds and some faintly metallic notes. 4 points and even at this modest price it’s far from being a good buy unlike its bigger brother.